While the Curmudgeon recovers from a chance encounter with Howell's Queen of Nice, a.k.a. 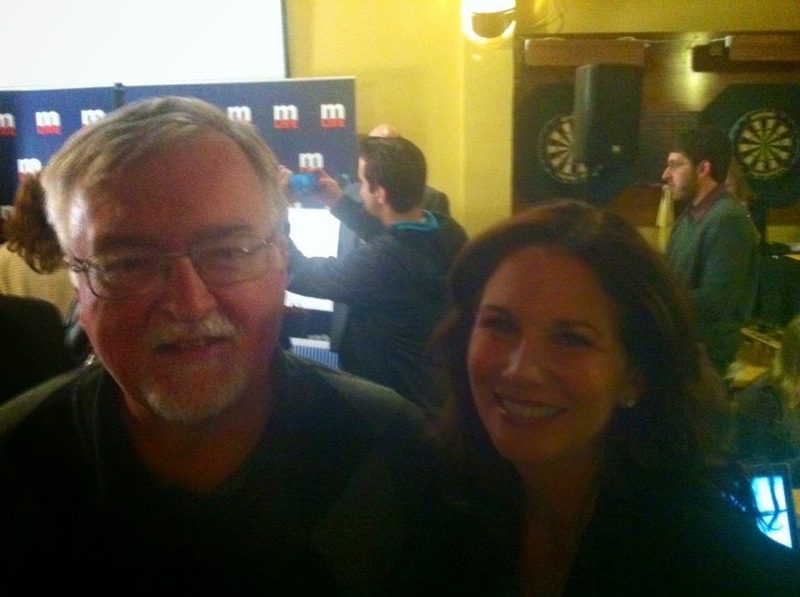 Melissa Gilbert, we peruse some of the fun on the internets this Pure Michigan Friday. The non-profit public policy group announced earlier this week it was running a TV ad focusing on the mess with created by privatizing prison food services through the Philadelphia-based company Aramark, at a cost of $145-million for two years. 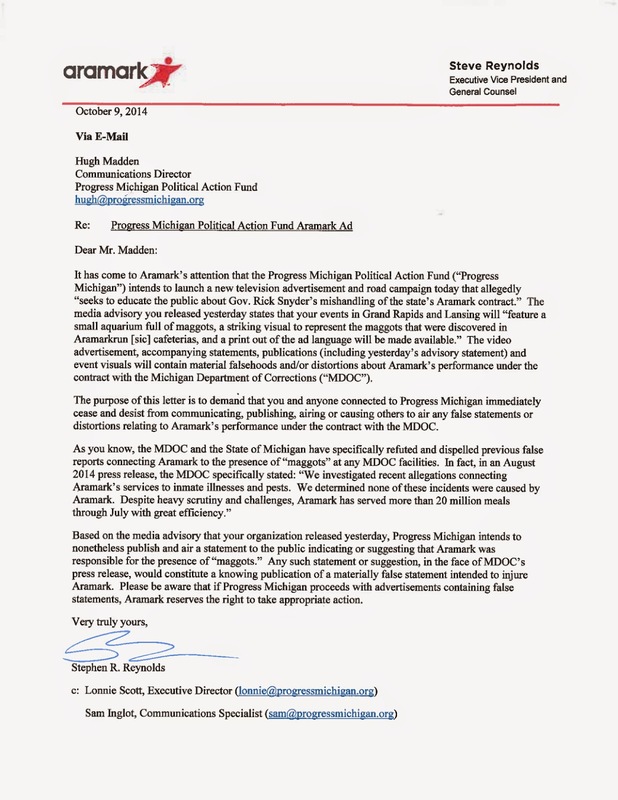 Within hours of the announcement, Aramark sent a letter to Progress Michigan demanding the organization pull the ad. Needless to say, Progress Michigan is not complying because the ultimate defense in slander/defamation cases is "truth." And it's "truth" that Aramark screwed the pooch. Rick Snyder, reacting like a politician caught with his hand in the cookie jar, calls Mark Schauer "a liar" for his claims of a $1-billion cut to education in year one of the Nerdland. Only problem, it is true. And if you ask any teacher, any school board member you will be told it is true. Schauer forcefully renewed his attack on Snyder budget priorities -- business tax cuts instead of fully funding schools -- in an SRO interview with the mLive editors in Lansing Thursday night. In addition to restoring funding for public schools, he called for demanding accountability from Michigan's for-profit charter school system which is draining more than $1-billion annually from the K-12 system. He also noted that charter schools spend far less per pupil than traditional schools, but have higher administrative costs. Schauer said the first major bill he'd likely sign as Governor is a repeal of the Snyder pension tax. Many Republicans in the Legislature have indicated regret over approving the tax and would join with most (if not all) Democrats in repealing the tax. Dillard, a veteran civil rights attorney, focused his presentation on expanding access to the ballot. He said Ruth Johnson has had four years to implement reforms in elections but has only become a supporter of such things as campaign finance transparency during the last few months. Dillard proposes mail-in and same-day voter registration; increasing the number of locations for registering to include college campuses, county health departments and FIA offices; initiating early voting; allowing voting-by-mail for all voters; and far more transparency in campaign finance. He also advocated expanded public funding for statewide campaigns. Rick Snyder won a five-candidate 2010 primary for Governor with 25% of the vote, mostly because he was the only candidate in the field who wasn't marginally insane – or at least gave that appearance. His foes were all fighting for the tea party vote in the GOP, and they split it up. Snyder go the votes of the remaining GOP "moderates". Now he's in a desperate political battle to hang on. 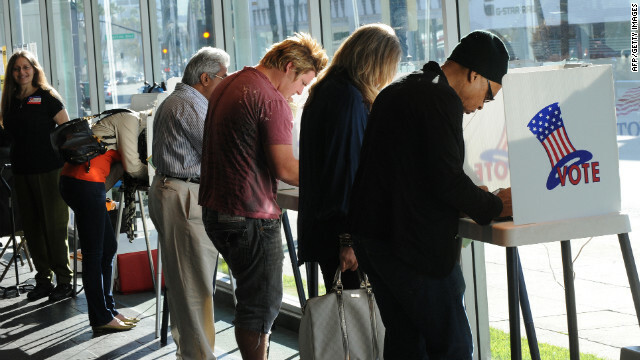 Michigan voters tend to be moderates who lean, oh so slightly, to the left. And Rick Snyder now has a record aligning him the the right-wing of the minority party in Michigan. Susan Demas correctly notes in her column: if Snyder were truly the moderate he pretends to be, he could cruise to reelection. Republicans do not want everybody to vote. As Michigan Democratic chair Lon Johnson regularly says, "if Democrats vote, Democrats win!". All across America, Republican-run states are acknowledging that it is true by doing everything they can to make it difficult or impossible for Democrats to vote. They target students, seniors and minorities, mostly with laws claiming to solve a problem that doesn't exist: voter impersonation. Nobody in any state has come up with a shred of evidence of people going to the polls and pretending to be someone else. That is the ONLY kind of voter fraud that is vulnerable to voter ID laws. But that is the excuse they use. Thursday the Supreme Court put an immediate stop to draconian new voter ID laws in Wisconsin and Texas that threatened to steal voting rights from hundreds-of-thousands of citizens. This is especially bad news for Wisconsin Governor Scott Walker who wants to be President, but needs to get reelected Governor first. He's locked in a VERY tight race with Mary Burke. Meanwhile, the ACLU has enlisted comedian Lewis Black as their "ambassador" against voter suppression. Like just about all Lewis Black commentaries, it is 1) funny and 2) R-rated! A lot of people have said it (repeatedly). But none of the critics has more credibility than Steven Rattner, the man who was in charge of the federal bailout of Michigan's most important employer. He explains why the Romney/Land "plan" of a structured bankruptcy was a non-starter for the simple reason that there was no private capital available for a structured bankruptcy. The only entity with the resources to save GM (along with Chrysler and, indirectly, Ford) was the federal government. "...if Land's clearly expressed 2012 view had prevailed, GM would likely have disappeared." And so would have Michigan's economy. We would have been facing 20-30% unemployment virtually overnight. Way back in June, the Michigan Democratic Party put up a YouTube video lampooning the Terri Lynn Land campaign. Five months later, it looks like a prophecy from Nostradamus. Enjoy! As Secretary of State, TLL gave Michigan's largest home-grown retailer a huge gift that prevented potential criminal charges against Meijer. It involves massive illegal campaign spending by the company as a way to punish the town council in Acme, Michigan, for standing in the way of a new Meijer superstore. The New Republic details how Meijer reciprocated: with massive campaign support for TLL's Senate campaign. They effectively bought their way out of criminal charges and potentially huge civil penalties for pennies on the dollar. The New Republic calls it "The Bargain of the Century." Reminds The Curmudgeon of the old Meijer slogan: Why Pay More? Why Stop With Speed Traps? Our colleague Amy Kerr Hardin at Democracy-Tree.com has uncovered another privatization plan that will make a lot of money for out-of-state vendors and screw Michigan citizens. The idea is to use surveillance cameras to issue speeding tickets and, in the process, provide a new profit-center for local governments (but only after they get done paying the vendor, of course). This really stinks. Read Amy's blog post.